Write to us via this form. 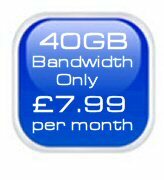 Only £7.99 per month or £79.99 per year for upto 40GB of monthly bandwidth and 4GB of diskspace. Please see below for the benefits of the quality website hosting service from CCS Leeds.